Hey friends! I thought today might be a good day to answer some of the questions that have been popping into my DMs and email so let's get the ball rolling! Why on Earth are you moving again?? We are relocating for Justin's work! We actually jumped on the opportunity to move to Charlotte as it's a really special city to us and one that we know well, so we had always said that if became an option, we would take it! The timing has been a little rogue considering we haven't even lived in our Greenville house for a year, but sometimes you just have to strike while the iron is hot! So, how many times have ya'll moved now? Why do you move so much?? We want to! We have moved for two reasons - all of the major out of state moves have been for Justin's career to advance and for the betterment of our family. The in-town moves within the city of Greenville have been because we've found that we have a knack for renovating houses, bringing them back to life and increasing their value. Those projects have been fulfilling (and exhausting) to us personally and have been great investments. If we had stayed in Greenville permanently, we would have continued to renovate houses every few years because we enjoy the process. I am. Very sad, actually. I am so lucky to have built an amazing group of mom friends here who are open minded, intelligent, motivated and successful in whatever they set their minds to. I have learned so much from all of them and I am honestly not sure that I'll ever find this sort of friendship magic again. I am also sad for Gray who will be leaving friendships for the very first time. We have been talking for weeks about the transition and have prepped him in every way we know how, but it's something he will need to feel and experience and I want to do everything I can to protect his little heart. Wait, didn't you just move into your current house?? We did, right before Georgia was born. We bought the house and moved directly into an apartment so that we could renovate the kitchen. After a few months, we moved into the house just two weeks before I had the baby. Is your new house in Charlotte a fixer upper? It isn't at all a fixer upper compared to the house that we completely gutted and renovated, but it definitely needs some work here and there. Our master bathroom needs a complete and total renovation but otherwise, the rest of the changes are what we would consider cosmetic. We aren't tackling that bathroom before we move in (honestly, we are just so ready to live all together again) but we are checking paint, plaster repairs and the redesign of a very dated fireplace situation off of the list before we call it home. What about schools? Have you found a preschool for Gray or will he miss the rest of the year? I am really, really lucky to have a strong network of friends in Charlotte with babes the same ages as mine. Between my blogging bests, a bridesmaid and a college roommate, my friends have ensured that we are all set up and ready to roll as soon as we officially move to the Queen City. Gray is enrolled in an amazing preschool program and will see familiar faces on Day One, and Georgia will hang with me until the next school year begins. How/Why do you keep doing this to yourselves? I love this question because it is so what I would ask! This was an opportunity we couldn't and wouldn't pass up! Any tips or advice on moving with kids? Yes! 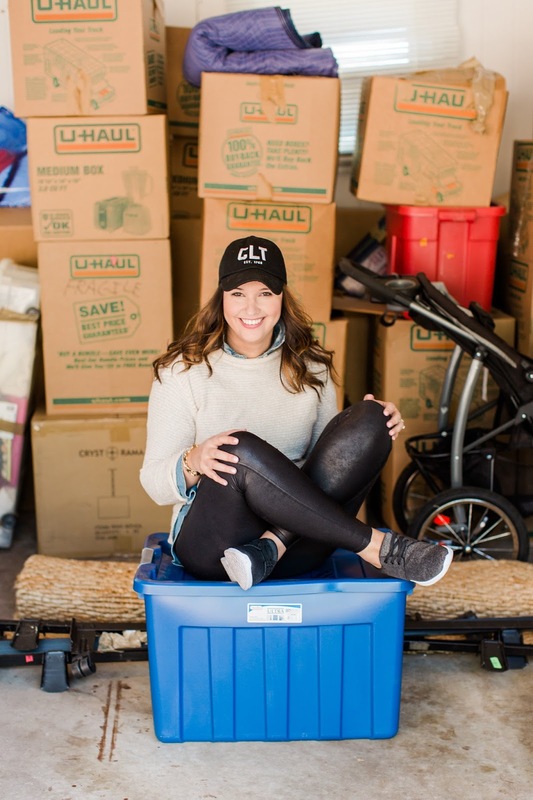 You can read this post for my best tips on moving with a toddler. So, is this it? Are you done moving? Justin and I really can't fathom the idea of a "forever" house and we just never know where life will take us. We will, however, stay in this house for what we think of as a while and will most likely stay in Charlotte for as long as we can. As our kids become school age the plan is to stay within their school districts etc if we decide to take on renovations again. We love Charlotte and plan to stay as long as possible, so we'll see!